So, if you’re an aniblogger or work in the anime industry, I’m fairly certain you have heard of Lauren, also known as the Otaku Journalist. If not, you’re in for a treat today. Lauren Orsini is a freelance writer for various sites, including some of your favorites: Anime News Network, Anime Feminist, and Forbes. 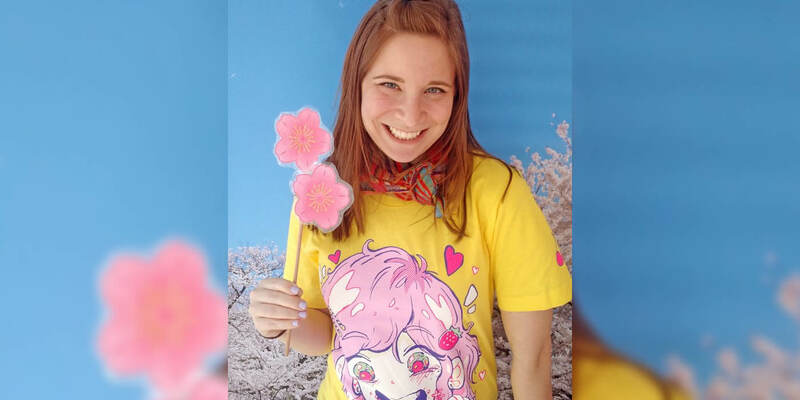 She also writes for her own personal site, the Otaku Journalist, where she shares her experiences on writing, how to make money blogging and her weekly Otaku Links roundup. Living in Washington, DC, Lauren not only is a writer, but also a web developer who recently left her 9-5 job to freelance and work at home. She helped design the J-Novel website and developed her first WordPress theme, Asuna (yes, that Asuna). “Passionately” is how Lauren describes how she works, and you can definitely see it in everything she does. As she says on her own bio, “Whenever I really like something, I make a blog about it.” She isn’t joking. 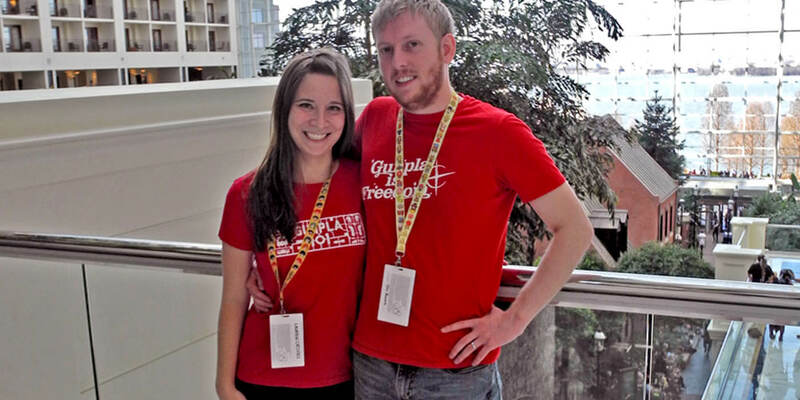 When she isn’t doing freelance work, Lauren is also running a Gunpla hobby site, Gunpla 101, with her husband, whom she met after joining her college’s anime club. Gunpla 101 is where you can find articles and tutorials on building Gundam figures. She also owns a candle blog, Candle Fandom, where she writes gift guides, reviews, and DIYs. Phew, she is one busy gal. I’ve personally known Lauren for over a year now and she is by far one of the most influential writers that I know, so being able to interview her was an extreme treat for me. In turn, I hope you will find this to be a scrumptious, yet insightful treat as well! As some people are aware, you write for several different websites, such as Forbes, ANN, and Anime Feminist. Would you mind sharing your experiences juggling these? The most important thing is I need to think about them separately. Since they are related to geek stuff in some way, there is definitely some overlap. Something I can write for Anime Feminist can possibly go on Forbes. Something on Forbes can be published on Anime News Network. So what I have to do is create subcategories. For Forbes, I try to write about business stuff where business and geeky stuff intersect, such as money and what businesses’ are earning. For ANN, I tend to stick to features that they assign to me and I write a lot about Gundam, which I try not to put Gundam stuff anywhere else. If it’s a social issue, I want it to go on Anime Feminist, not on one of the other two. These are categories that I have created for myself. They are not what Forbes, ANN, and Anime Feminist came to me and said, “Only write about this specific subcategory for us.” I have to do that or I won’t be motivated. I would be like, “No, I should pick one of these and write everything for them.” If I can’t justify the subcategory, I just don’t take the job. Once I was asked if I wanted to contribute to My Anime List (MAL) and when I was considering this, I thought about 10 posts that I could write because they want you to write 5 a month. But I kept thinking, “Oh, that would be good for Forbes. That would be pretty good for ANN. Actually, most of these would be good for ANN.” So I turned down the opportunity. I know I would never write for this site. Every time I write something, I’ll be like, “No, this can go to one of my previous gigs”. I bet a lot of the stuff can be interchangeable. Back when I wrote about MAL and the writer who had his Nazi article changed, I originally thought about writing it for Forbes, but my editor didn’t think it would be a good fit. She asked what is my swim lane. That’s what we call our subcategory on Forbes: your “swim lane” and you’re told, “Stay in your lane”. My author description on Forbes is that I write about the business in Fandom. I could have changed the article to be more like how MAL makes this much money, they had this many subscribers, this many visits per day and it would have been a different article. It wouldn’t focus on the social issues, but the impact on how people were responding to the topic and what that would mean for their business prospects. What is something you struggle with when working on your articles, and how do you overcome it? I really balance them by the month. For Forbes, I need to write at least 5 articles a month or else I don’t get paid. So I can write one once a week and then have one left over. For ANN I have a spreadsheet where I pitch a bunch of things at the beginning of the month and things I’m going to do. I usually plan months in advance when things will go out for ANN. I write a lot of reviews for them, so we can really pinpoint when things get published. So if I get the BluRay delivered to my house, I can have the review done in about a week. If I know RightStuf is going to be shipping some of their new releases to me, I can write to my ANN editor and tell them I would have something for them every week in March. For Anime Feminist, I volunteer there so I write when it is needed and something is important to me, and since it’s not just me like Otaku Journalist is, I don’t feel obligated to keep a regular schedule. With Otaku Journalist, I feel like a bad person if I don’t put up two articles per week: the weekly roundup (Otaku Links) and the post on Monday about something bigger. What’s your daily routine or process when it comes to writing articles? For Forbes, I don’t have to have anyone approve my stuff, but in the beginning of the month I still think of 5 things I’d like to write about. There is something overwhelming to think about. First I have to think of something, then I have to research it and write it. To have it all as one big thing on my to-do list feels overwhelming, but to research and write on a thing I have already decided on, and was approved by somebody else or by me, I feel a lot more confident that way. What’s your favorite article that you have written? I really like the article I wrote for Forbes about anime fans who started scanlations and fan subtitles and getting professional careers. I’m really proud of that one. I tend to share it a lot. I had a nonfiction literary agent write to me about that article in particular. As for a blog post, I did one on a blind anime fan. He uses dubs to watch anime and is a big fan of Kill La Kill, or he was at the time. It shattered a lot of expectations I had of dubs. When I was younger, I was like, “Subs are superior to dubs,” and I never considered people who are blind or dyslexic. There are all kinds of reasons to watch dubs. That blog post brought perspective in such a visual way. A few weeks ago on Otaku Journalist, you released a new e-course called The Geek Blogger’s Guide to Your First $1000; what does that entail and what should people expect from it? I noticed that my Niche Reviewer Crash Course was over a year and a half to two years old. I was thinking that I needed to think of something else to write about. I also use this kind of like branding. Over time, Otaku Journalist has become less about geek journalism and geek writing and more about geek career. So, I wanted something that would reflect that. I thought about how I made thousands now with Otaku Journalist and I thought, “How did I make my first $1000?”. It was a lot more varied back then, and I wrote about a lot of different things. So I wanted to do a course that explains the first 4 ways I started making money through blogging, especially through geek blogging, and how other people can emulate it. It wasn’t a fast progress for me but maybe if they followed my steps and didn’t make the same mistakes that I made, people could do it a little more quickly. 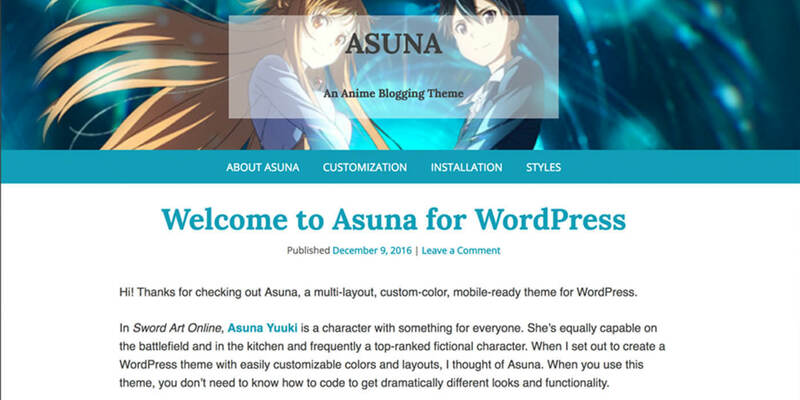 As a Web developer, you recently designed/coded/launched your first WordPress theme, Asuna. What were the struggles that you faced, and what drives you to create WP themes? Has it helped you become more involved in the anime community outside of writing? I created the theme last year. I thought there were specific needs that people in anime blogging had, like things they wanted to customize, types of content they wanted to highlight, etc. So I tried to build it around that. I also talked to a bunch of bloggers while I was building it. I also help Anime Feminist with site development and it feels useful to have that skill that no one else working on the project has. It feels like I can contribute in a different way. There are a lot of writers and editors working on the site but I’m the only person that knows how to read Google Analytics and how to apply different scripts to the site. Whenever there is a glitch, they get ahold of me and I try to tackle it, which I don’t mind because I love problem-solving. I hope to work in this capacity on other anime sites. You’ve had some amazing accomplishments using your web development skills, such as designing the website for J-Novel. How did that project come to be, and how did you get involved in it? Sam, the CEO of J-Novel, knew I had web design experience and asked me if I wanted to be part of it. It also helped that I had a geek background. I can totally relate to that, because the person I got to design my Gunpla 101 and Otaku Journalist logos, Ben Huber, I met through volunteering at Japanator. I knew he would be on my wavelength when it came to finding a design that had to do with Gundam. While he was working on the design, I sent him a Gundam through the mail and told him, “Build this. See if you’re inspired.” I really like working with people who share the same interests as me. I know it’s something that is unique to me. Obviously, Sam was seeking someone like that too. You have another website you run called Gunpla 101, which recently beta launched a companion database site, GunplaDB. Do you mind talking about it, and how it feels taking two things you enjoy and creating such a fantastic site? Gunpla DB is still a work in progress. After I migrated to a virtual private server (VPS), we’ve just been having trouble getting into the controls. So my database developer, CrimmFTW, is working on it. For Gunpla 101, I tried to put 4 posts up every month. What’s great about having a personal site, Otaku Journalist is that it is kind of a testing ground. I’ve written about a bunch of things that are just on my mind at the time. When I started building Gunpla 101 back in 2011, I wrote about stuff like how to build a high-grade Gundam, how to photograph your Gundam or how to organize them. I noticed that a lot of people were interested in these posts and were clicking on my Amazon Affiliate links in these posts on Otaku Journalist. I realized I should build an entire site for this and I did exactly that in 2014. I’ve been writing for Gunpla 101 for three years this May. It feels good to have this hobby all in one place. It’s very similar to web development. Someone is like, “There’s this bug and I don’t know why this site isn’t working.” I guess my favorite parts about all my jobs are: 1 – problem-solving and 2 – teaching people about solving that problem. A lot of my writing takes on the form of tutorials and reviews. It may seem like I do a lot of different things but it really just boils down to those two. 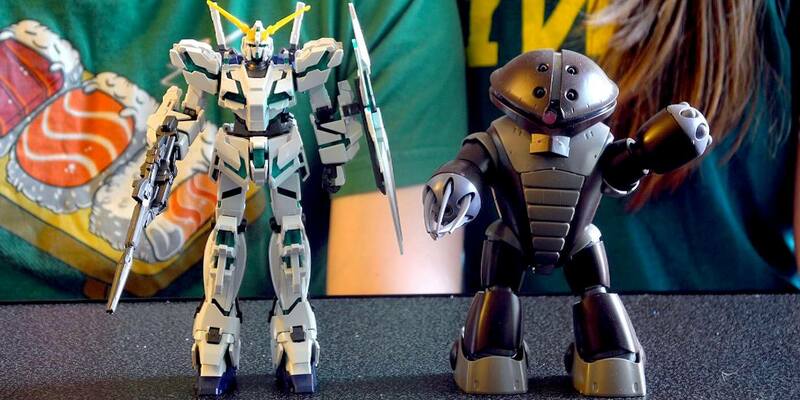 What got you into Gundam and Gunpla? I got into Gundam Wing when I was in 6th grade and really liked Duo Maxwell, and still do! Back at the time, I used to think the show was so deep and it was going over my head because it was so complex and I didn’t understand it. Now I know it was just badly written and the politics are all over the place. Because I liked Gundam Wing, I watched a few other Gundam shows, and then forgot about it for a while. I met my husband, John, in college and he was REALLY into Gundam. He was really into Gunpla and I wanted to try some which caused me to get really into it. So that’s what we do as husband and wife as a bonding experience. John doesn’t watch recent anime like I do. He would rather re-watch Gundam for the 10th time, so it’s a great way for us to meet halfway. What upcoming conventions are you going to this year? Recently, I was at Anime Boston, which is one of my favorite conventions and I was the convention staff blogger. It’s a great way to a part of something and helps people, because I go to a bunch of different panels and inform people what they missed. Like if the panel was “10 Anime for Grown-Ups”, I’ll list them out because you can’t go to every panel. I’m so glad that Anime Boston has a blog and makes this a priority. Coming up, I’ll be going to Otakon and Crunchyroll Expo. There was a time I went to 6 conventions a year but I stopped doing that. Where I live in Washington, DC, there are a lot of conventions nearby (Magfest, Katsucon, Anime USA, Nekocon), so I really I have my pick. You wrote in an article that you were getting burned out going to conventions, specifically KatsuCon. Has that changed? Yes, I definitely got my groove back. I realized that I need a role. I used to report on conventions, and that gave me a reason to be there. With Anime Boston I never felt burnt out with it because I was always on staff, so there is always a reason for me to be there. Now, I’ve started giving panels and that has given me a role. But the year before I decided to skip a year of Katsucon, all I did was spend way too much money in the Dealers’ room. I bought a perfect grade Gundam, but spending money is not the most productive, ideal role to play at Katsucon. What do you think is your biggest accomplishment so far? This is a tough one. It’s so hard to celebrate, isn’t it? You’re always feeling like “Okay, done with this, gotta move onto the next” and gotta move onto bigger and better so you don’t really celebrate what you’ve actually already accomplished. I have a list in Evernote called “Accomplishments of 2017” and it is completely blank because I don’t ever sit down and write out what my accomplishments are or what I’m proud of. My biggest accomplishment being an anime fan is when I was 27, I said “My biggest regret in life is that I never learned Japanese”, so I found out that there are Japanese classes here in DC. I signed up and took up to 302 and also passed the N5, which is a test of Japanese proficiency, but it’s the lowest. This was before my trip to Japan, so it inspired me to find a flight deal and be like “I’m going to Japan in 6 months!” and I spoke Japanese while I was there. These are the things I’m most proud of in my life because they are things I decided for myself. Getting a platform on Forbes or ANN is not up to me. I send in a resume and I see if they decide to hire me. So when I say it’s a big accomplishment, it’s something I can’t emulate again for myself. I said that my goal this year is to get published in the New York Times, which is a very difficult goal because it is not up to me. The decision is left to the editors of the NYT. It doesn’t matter if I’m a good writer, but whether the pitch I sent in is relevant and timely. The things I’m most proud of are things I have decided to do completely and independently from anyone else’s approval or decision. I don’t recommend this to everyone. I sit on my bed. I make my bed and then I sit on top of it. Sometimes, I change into my daytime pajamas. Sometimes, I put on my workout clothes so I can go to the gym later. I’ve heard so many times: “Don’t work in bed. Don’t work wearing pajamas because it messes up your sleep.” But let me tell you, my sleep is GREAT. I sleep too much. Like 11 pm I would want to go to bed and then wake up at 8 am, so that’s way too much sleep. I try to get up earlier and I don’t notice any more fatigue than usual. For apps, I like to use Rescue Time. Every week it gives me a report on how much time I use doing productive things on my computer and how much time I use doing unproductive things. This helps me with my taxes, because I can’t say that my computer is a 100% work machine, but I can say that 45-48% of it is work machine because I spend 45-48% of the time doing productive things. I can then write off 45% of the cost of the computer and maintenance on my taxes. I also use Evernote. I have notes for each site I write for and articles I want to write for them. Also, I use it for website resources that I want to talk to clients about. For taxes, I use QuickBooks Self-Employed and I swear by this. I just started using it this year and it has already made managing my finances so much easier. Skype is my go-to for interviews with clients and interview subjects. To keep track of things, I use Google Calendar, because I can quickly look at the whole month at a glance. I also have a paper monthly calendar that’s from Muji (Japanese goods store) in Boston. It helps to sit down with my computer far away and write it all out on paper, especially on the first of the month when I’m trying to put down what I did and didn’t do last month. I also plan out when I will be writing my Forbes articles, which things are due for Anime News Network and what Monday’s post of Otaku Journalist will be on. It helps me know topic ideas in advance. I don’t want to think of something and write it all at once. It’s just too much stuff!! Too many decisions!! I really like to knit socks and I paint a lot. I haven’t tried monetizing those because it would take out all of the fun in them. It’s hard not to know everything about me since I’m on Twitter a lot. I’m really inspired by Aja Romano who is also my friend and writes for Vox Media. I like how she goes really in depth with fandom and in a way that anyone can understand, which is how I try to approach my writing. I’m really inspired by Justin from the Organization Anti-Social Geniuses. He doesn’t HAVE to do the investigative reporting articles about Funimation’s logo change and things like that. It makes me really impressed to see what he is doing. When people ask me what work substance is being done in anime journalism, I tell them to look at what Justin’s doing. Amelia from Anime Feminist is another inspiring person to me. Not only because she is completely fluent in Japanese, she’s not an American talking about anime, but from the UK. Her detractors are always saying, “You’re from America so you don’t understand.” She also deals with more hurdles! It’s harder to get access to anime in Europe, and we are all in different time zones. I remember when she was setting up a Patreon for Anime Feminist and I told her not to since she just launched her site, but it turned out to be very successful. I liked being proven wrong! It’s honestly so difficult to answer a question like this because my career is based so deeply on the kindness of other people. I wouldn’t be able to conduct interviews if people didn’t agree to talk to me. When I decided I wanted to call myself the “otaku journalist” and start a career like this, it wasn’t something that existed yet. I’m grateful to all the people who gave me a chance, and for all the people who’ve legitimized what I do. What words of advice would you give to a novice starting out? I wrote Otaku Journalism and Build Your Anime Blog because I noticed I sent a lot of emails to aspiring people who wanted to do what I do. I thought, “I can write a book about this,” and I did. I wrote two. You want to report on things in ways people can understand without getting into the weeds, but don’t act like the Jane among the gorillas. Don’t be like, “Ah, look at this primitive culture.” I think that’s where a lot about our fandom in journalism goes wrong, and you can tell if that person is not involved in our fandom because they are acting like it is the weirdest curiosity ever. Where do you see the anime fandom heading? I see the community heading more towards YouTube. I see fewer people starting anime blogs, especially younger people, and instead are hanging out on YouTube. It could be a generation divide and me complaining about the kids. I tried recording/uploading videos and I didn’t like it as much, and feel more articulated writing instead. I see the platform getting more popular with anime fans, but I’m also seeing fans giving back to creators. It doesn’t seem like young people are pirating as often. They seem more connected on how they get their anime. It helps that it is a lot easier now than getting anime back when we were that age. 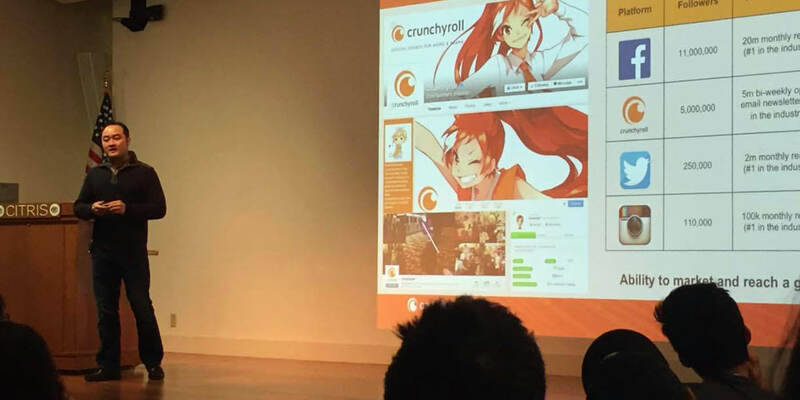 I really like what the CEO of Crunchyroll, Kun Gao, said about how 2017 will be the year anime goes mainstream. Currently, I don’t know if that is going to happen but it’s going to be so awesome if it does. I just had a great conversation with my Lyft driver about anime, and this isn’t the first time that it has happened! The reason I watched Hunter x Hunter is because a previous Lyft driver told that it was really good and thought I would like it. I would love to talk about anime with anyone. Imagine how cool that would be! It’s getting easier and easier to watch in more places and there is some really good anime out there and people are just starting to get into that. I love it! Below is a video on Gundam that Lauren did for Crunchyroll! Introducing our new interview column, “Hi, I’m…”. In this series, we sit down with fantastic folks who influence the world of Japanese culture, from AniTubers to experts & industry celebs. Every other month, we’ll present a new interview with insight on their daily life, their thoughts on the Japanese Culture industry, and tips for those wanting to debut in the same field as them. If you have any suggestions of who we should interview next, let us know on Twitter or email us: YattaTachi[at]gmail.com.